Source: Molecular Insights into Human Brain Evolution, Jane Bradbury, PLoS Biology Vol. 3, No. 3. Welcome to the Research Guide for ANTH 209: Forensic Anthropology. This guide is a work in progress and I welcome your suggestions for additions. For more general resources in Anthropology, please check out the Anthropology Research Guide. Feel free to contact me if you need additional help (see sidebar on the right). The American Board of Forensic Anthropology was incorporated in 1977 as a non-profit organization to provide, in the public interest and the advancement of science, a program of certification in forensic anthropology. Searchable database of skeletal collections and the research that was conducted using them. This gallery contains five modern primate crania, and five fossil crania. The crania can be rotated 360 degrees. 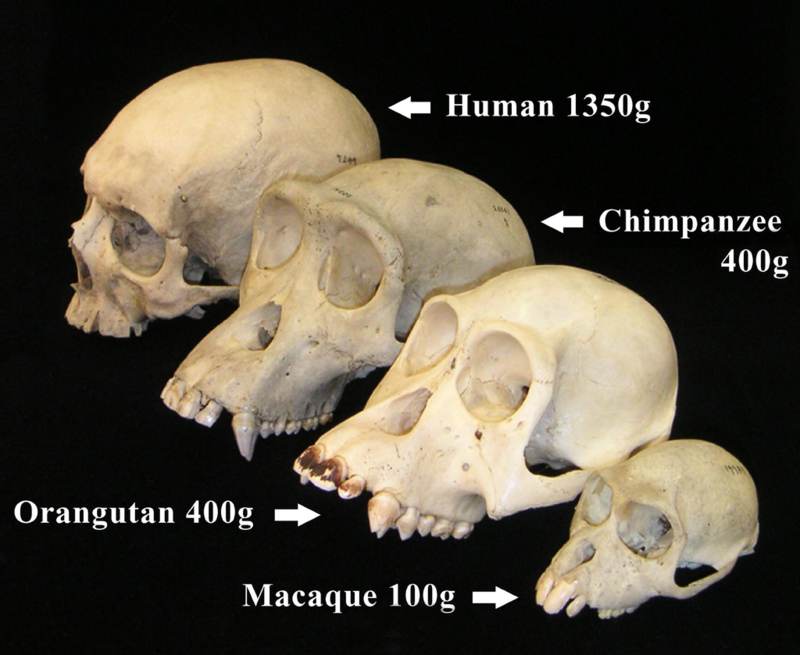 Each cranium is accompanied by a short description of its relevance to human evolution, and a site map. eSkeletons provides an interactive environment in which to examine and learn about skeletal anatomy through our osteology database. A collection of web sites that may be of interest to both the professional and student forensic anthropologist.